We are excited to announce our national television premiere, to kick off Mental Health Awareness Month in May! Logo Documentary Films will launch its 2016 slate with the premiere of “Mind/Game: The Unquiet Journey of Chamique Holdsclaw” on Tuesday, May 3 at 9PM ET/PT. Logo TV is a leading entertainment brand inspired by the LGBT community and reflects the creative class across television, digital and social platforms. Logo is part of MTV’s network of brands including MTV, MTV2, MTV.com, mtvU, MTV Hits and MTV Jams. We are excited to share Chamique’s inspiring personal story on a national level and get more people talking about mental health issues in their own families and communities. Please spread the word to family, friends, on Facebook, Twitter, Instagram, and all your other favorite social media tools that we’ve never even heard of! Arrange a viewing party on May 3rd and get your schools, sports teams or local mental health organizations involved! We hope you’ll tune in and share your thoughts with us on Facebook and Twitter. Don’t forget the hashtag, #MindGame! For more information about the upcoming 2016 slate from Logo Documentary Films, click here. Thank you to Executive Director Deirdre Evans-Pritchard and her awesome staff at the Washington D.C. Independent Film Festival for all their hard work on a great festival. Rick and Chamique had an amazing time meeting basketball fans and mental health advocates alike at a special reception before our DC premiere, held at the Carnegie Institution for Science and co-sponsored by our longtime ally Active Minds, and the WNBA’s Washington Mystics, the team Chamique played on during her first years as a pro. We were honored to receive the 2016 festival award for “Best Feature Documentary.” Thanks to everyone who came to see us. For more photos from the festival, click here! Mind/Game: The Unquiet Journey of Chamique Holdsclaw enjoyed two screenings at Atlanta’s LGBTQ Out on Film Festival, which took place October 1-8, 2015. We are pleased to announce it was voted “Best Documentary” by festival audiences! Thank you to executive director Jim Farmer and his festival organizers and volunteers, and especially each and every one of you who came out to see the film! Mind/Game: The Unquiet Journey of Chamique Holdsclaw premieres in New York next month at the Gold Coast International Film Festival! The Gold Coast’s fifth anniversary festival spotlights award-winning films and Hollywood’s best from November 9 – 15, 2015. Saturday, November 14th at 3:30 p.m. 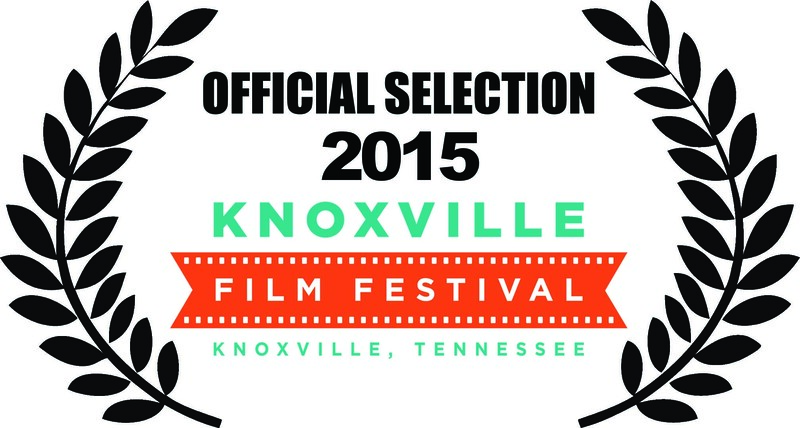 In an exciting weekend at the 3rd Annual Knoxville Film Festival, which took place September 17-20, 2015, Mind/Game: The Unquiet Journey of Chamique Holdsclaw was awarded first place in the Documentary Feature category. In addition, audiences voted for Mind/Game as their documentary favorite! For more information and the listing of all award winners, click here. The 2015 Awards were announced during a ceremony at the Knoxville Film Festival on Saturday, September 19 and Chamique was present to accept the awards! Sunday, September 20 featured a re-screening of all festival winners, including Mind/Game. A warm congratulations to our fellow films and filmmakers. Thank you, Knoxville! Mind/Game: The Unquiet Journey of Chamique Holdsclaw premieres in Georgia next month for Out on Film, Atlanta’s LGBTQ Film Festival! One of the oldest LGBT film festivals in the country, Atlanta’s Out On Film has been dedicated to supporting the exhibition of LGBT film and video art forms for over 25 years. The festival runs October 1 – 8, 2015 at the Landmark Midtown Art Cinema. Monday, October 5th at 7:00 p.m.
Mind/Game: The Unquiet Journey of Chamique Holdsclaw returns to Tennessee this fall for the 3rd Annual Knoxville Film Festival! University of Tennessee Lady Vol fans and the greater Knoxville community are encouraged to come and see Chamique’s story on the big screen on Saturday, September 19 at 3:00 p.m. at the Regal Downtown West Cinema 8. The festival begins Thursday, September 17 and runs through Sunday, September 20. Visit the festival website for more information! Here’s festival Executive Director Keith McDaniel with a sneak peak of the festival on WBIR.